CAAM Chinese Dance Theater (CDT) is a non-profit performing arts and dance academy dedicated to preserving and celebrating Chinese cultural heritage. Every year we connect more than 10,000 audience members and nearly 200 dancers to the heart of dance and the soul of China. Please join us for our annual Lunar New Year’s Production, summer camp, a workshop or residency, school outreach, Spring Recital, or community performance! 2019 Spring Recital is coming on May 18th at Eden Prairie High School. Order your lunch boxs, tickets, DVD/Blu-Rays, and Roses here. Our Spring Schedule is out! Please join us for a class or two. Dance Scholarships! We still have several dance class scholarships available for Spring Dance Classes through the generous support of the Metropolitan Regional Arts Council. Scholarships are through an Arts Learning Grant. Dance scholarships are available to kids who receive free or reduced-fee school lunches (or the equivalent). 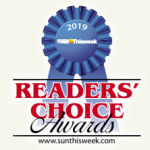 Congratulations to CAAM CDT for once again being selected “Best Dance Studio” and “Best Summer Camp,” 2019, by Sun Thisweek readers! Thank you to the thousand-plus arts patrons who braved the cold to support our world premiere, Once Upon a Lake (西湖随想)! If you would like to learn more about Xihu (West Lake) and its fantastic legends, please check out our coloring and activity book for kids (and adults). Our school matinee, Tears of the Dragon, Leaves of the Tea has been cancelled. Please watch this space for updates. We hope to offer the show later in the year. We’re looking for dance instructors! Please contact us for details. Thank you to our Facebook, Corporate, and Give to the Max donors! Would you like to join them? Our Give To The Max website will remain open into the new year. Your support allows us to reach more communities, build more bridges, and help more children become their best version of themselves. To date we have raised $1535, with $200 of that dedicated to the kids’ School Matinee. Please click here to learn about this year’s initiatives. Xie xie! CAAM CDT is a 501 (c)(3) non-profit organization supported by the generous contributions of foundations, businesses and corporations, and individual contributors. Founded in 1992, we are the oldest and largest Chinese Dance company in the Midwest. CAAM CDT has enjoyed remarkably stable leadership since its inception and currently serves under artistic direction of Lili Teng, a world-renown choreographer and teacher. 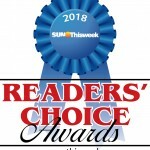 Recently selected as “Best Dance Studio” for 2018, more than 160 students are enrolled in dance classes at our Saint Paul and Richfield campuses. Our youngest dancer ever was 18 months old, and our oldest dancer is 65 years old! Curiosity and interest in this captivating dance form are the only prerequisites for taking one of our classes. Prior dance experience is not required, and one does not need to speak Chinese. In addition to traditional year-round dance instruction, CAAM CDT offers two award-winning summer camp programs, customizable workshops and residencies, and interactive educational programs. We are proud to have been named “Best Summer Camp” for 2018. Our annual Lunar New Year’s production at the O’Shaughnessy Auditorium is the highlight of the Lunar New Year in Minnesota. CAAM CDT also performs year-round at various festivals and events. We are available for private bookings. CAAM CDT is a division of the Chinese American Association of Minnesota (CAAM), which in turn is the oldest and largest Chinese American community organization in Minnesota. Chinese dance draws from more than 56 diverse ethnic groups, traditional Chinese opera, martial arts and ballet. While challenging to master, Chinese Dance is also great fun! Think of it as ballet, modern dance, rhythmic gymnastics, martial arts, acrobatics, and more, all rolled into one. The costumes are usually very colorful, and many dances use props, such as fans, swords, ribbons, long sleeves, umbrellas, and hats. There are two broad categories of Chinese Dance: Ethnic/Folk and Classical/Traditional. CAAM CDT teaches both. CAAM Chinese Dance Theater is dedicated to preserving, celebrating, and sharing our Chinese cultural heritage and enriching the cultural life of all Minnesotans through the universal language of dance.